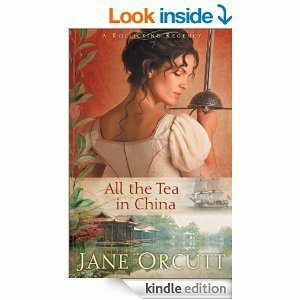 All The Tea In China Kindle Edition Only $0.99 (Reg. $7.99)! You are here: Home / Great Deals / Amazon Deals / All The Tea In China Kindle Edition Only $0.99 (Reg. $7.99)! Looking for a new book to read? Download the All the Tea in China Kindle edition for just $0.99 (reg. $7.99)! Has this saucy high-society Englishwoman met her match? Though well-bred, fashionable, and educated, Isabella Goodrich feels useless as a spinster in a world of matchmaking and social gatherings. She’d rather be practicing her skills at the sword and discussing philosophy than making painful small talk at ridiculous parties. Then Isabella meets the mysterious Phineas Snowe, and she becomes convinced she is meant to follow him to the mission fields of the Orient. A woman with an independent nature, she sneaks away and boards a ship to China. What she discovers about her companion and the world beyond Britain’s shores draws her into a greater quest–and deeper love–than she could have imagined. All the Tea in China is a fast-paced, witty, and lighthearted tale of adventure, romance, and the pursuit of impossible dreams.